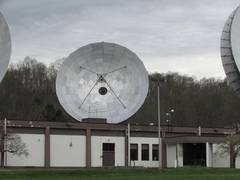 It surprised the hell out of me to find this thing where I did, since it's more or less in my own backyard and I didn't even know it. 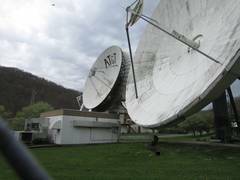 There are four VERY LARGE dishes here, the largest being about 30 meters or 100 feet in diameter. 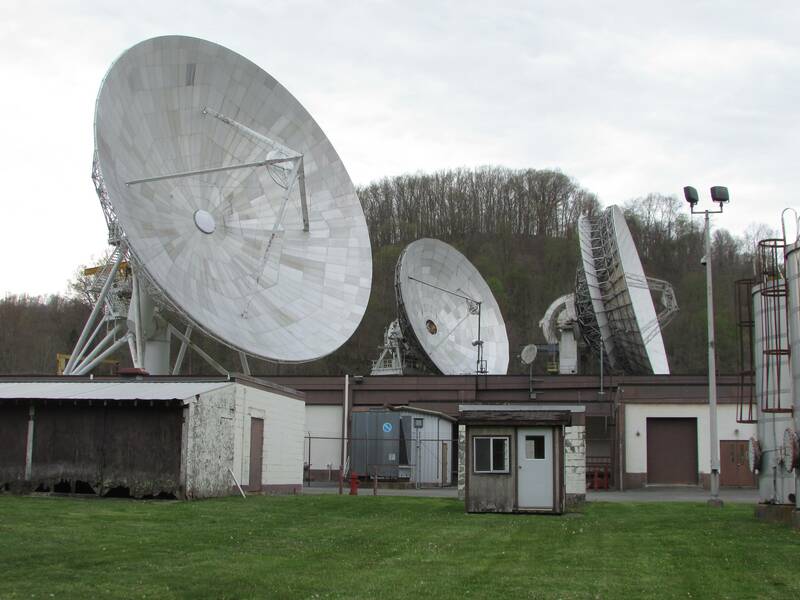 Normally you'd see world-class setups like this on the outskirts of some big city, or at least, say, close to some freeway. 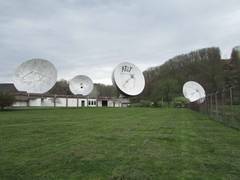 This is about as far out in the middle of nowhere as you can get, 20 miles or so from several small towns with populations under 5,000, and about an hour and a half from Fairmont or Morgantown. 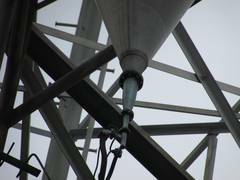 So, you probably want some background. 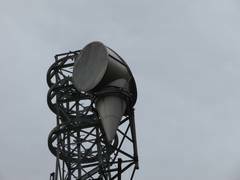 Why is this here? 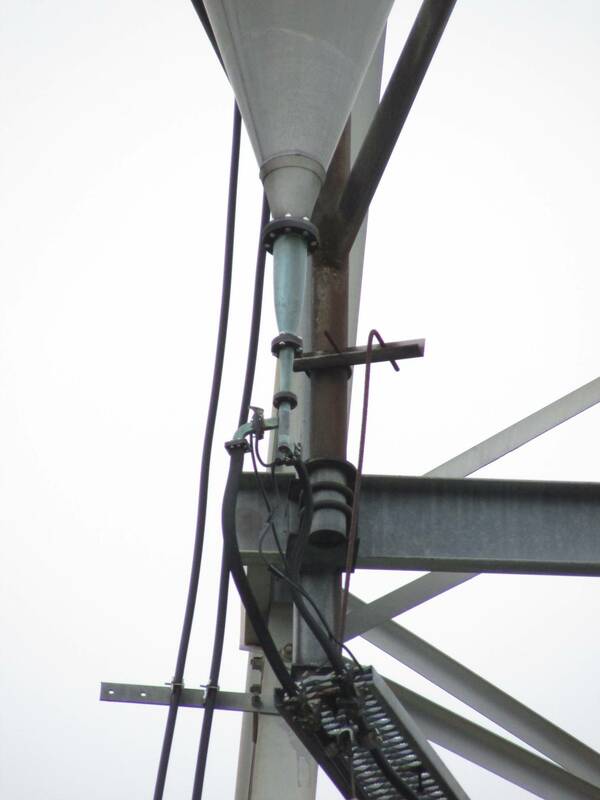 Who put it there? 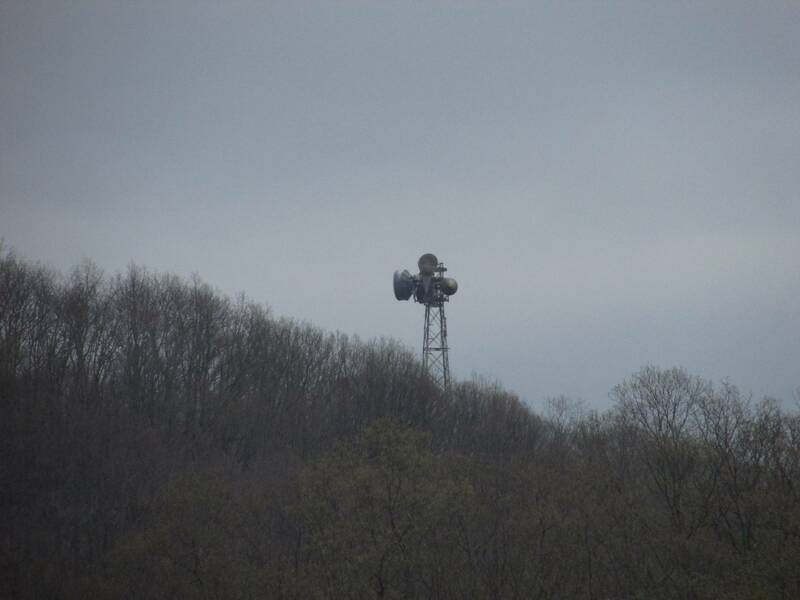 How long has it been here? Why is it in a cow pasture in the middle of nowhere? 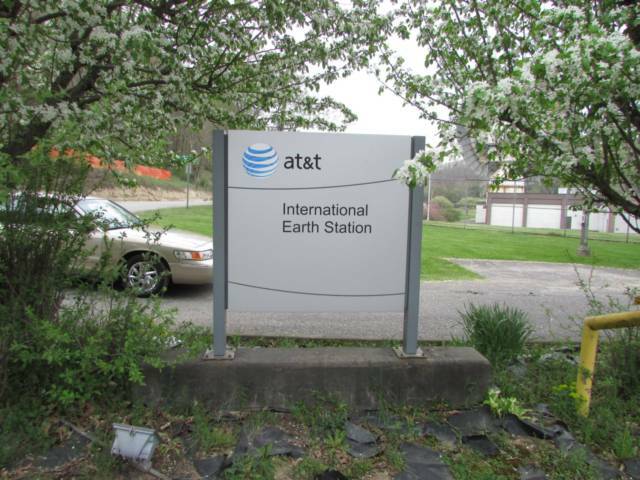 Surprisingly, I haven't been able to find out much about it yet. 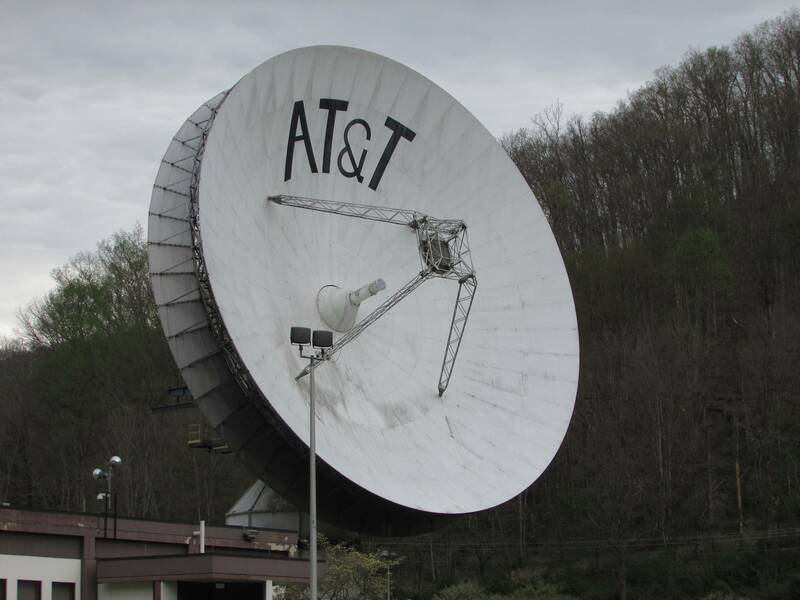 Obviously, AT&T built it, it says so right on the dish, which is pretty cool. 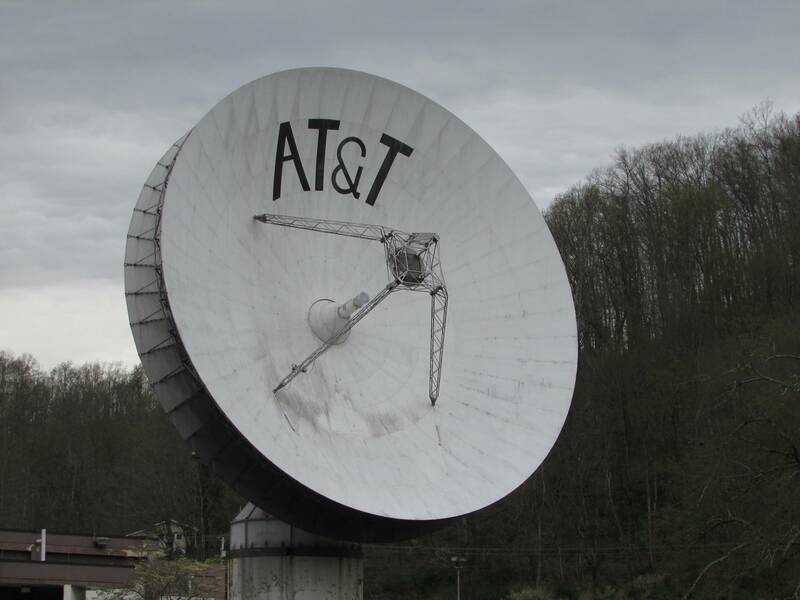 As for how long it's been there, it's hard to say. 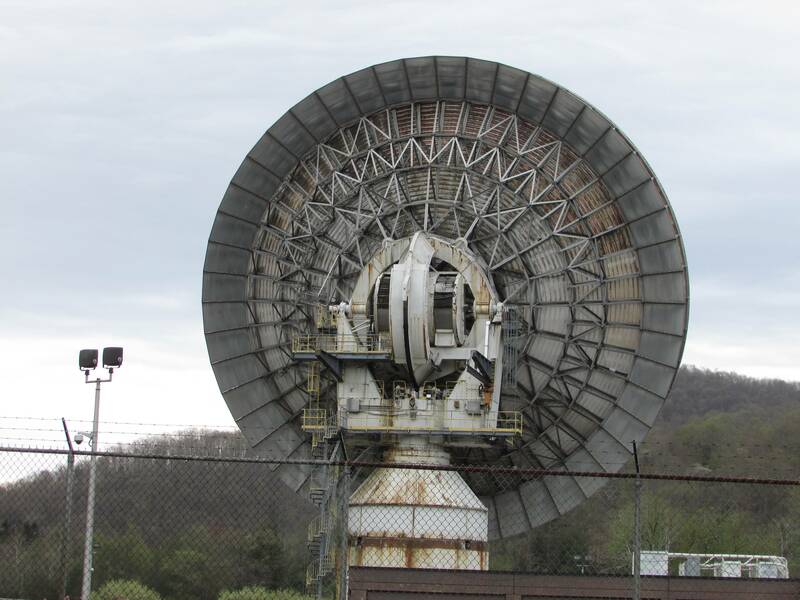 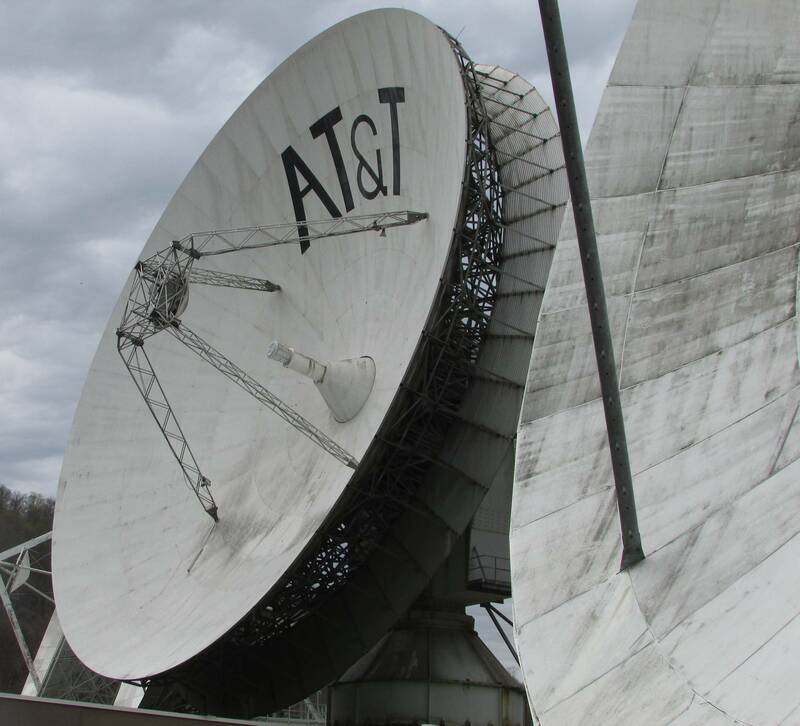 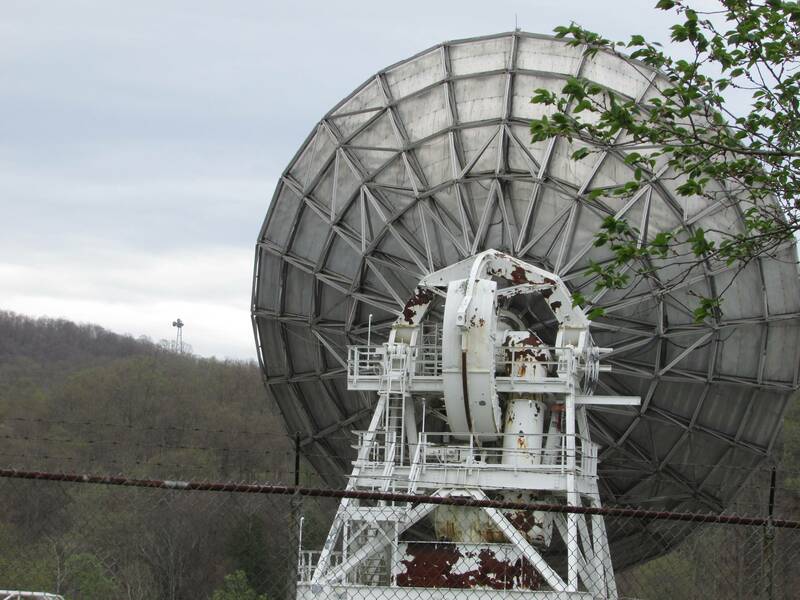 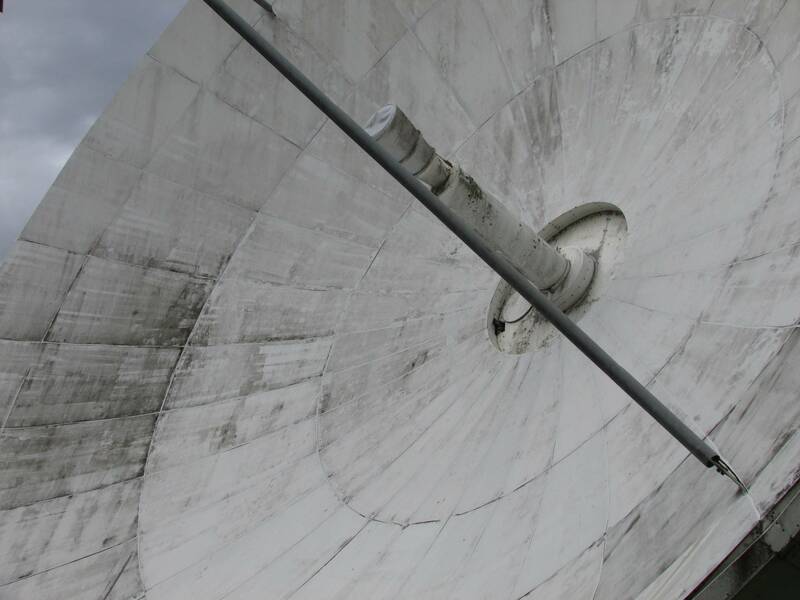 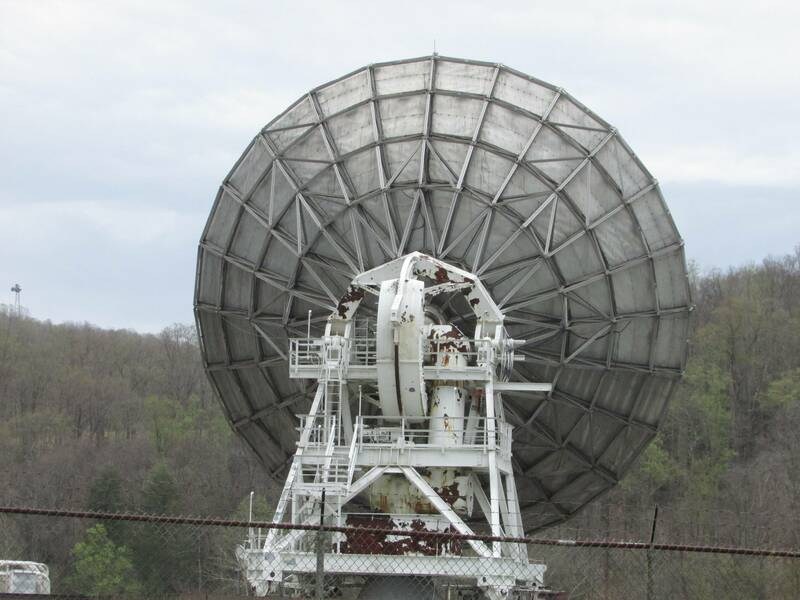 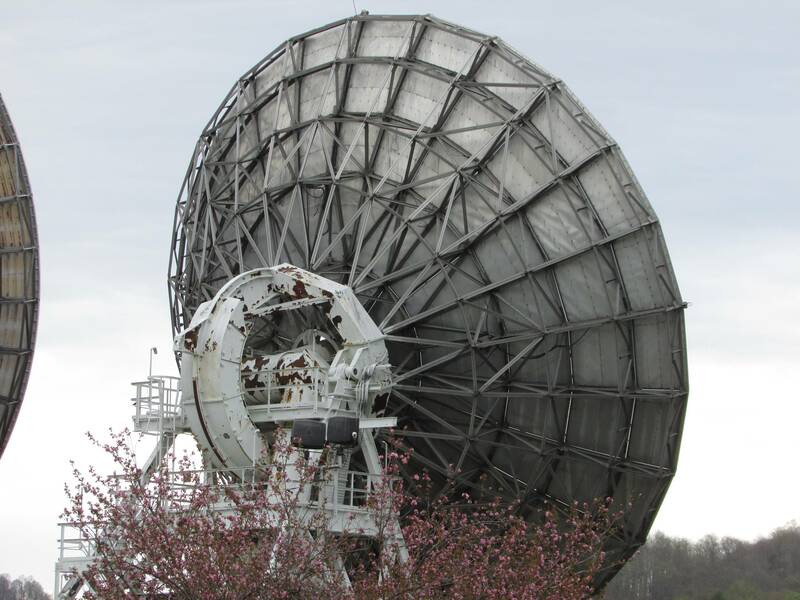 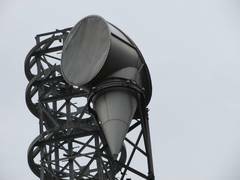 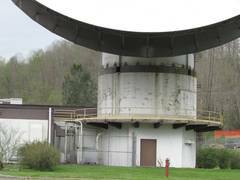 Judging by the amount of rust on the fences, the style of the buildings, and design of the antennas, as well as the presence of several horn antennas, I'm going to give an educated guess of around the 1970's. 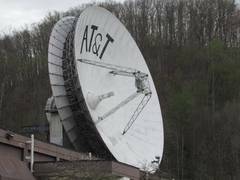 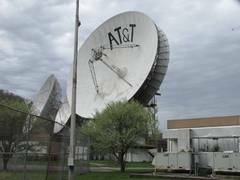 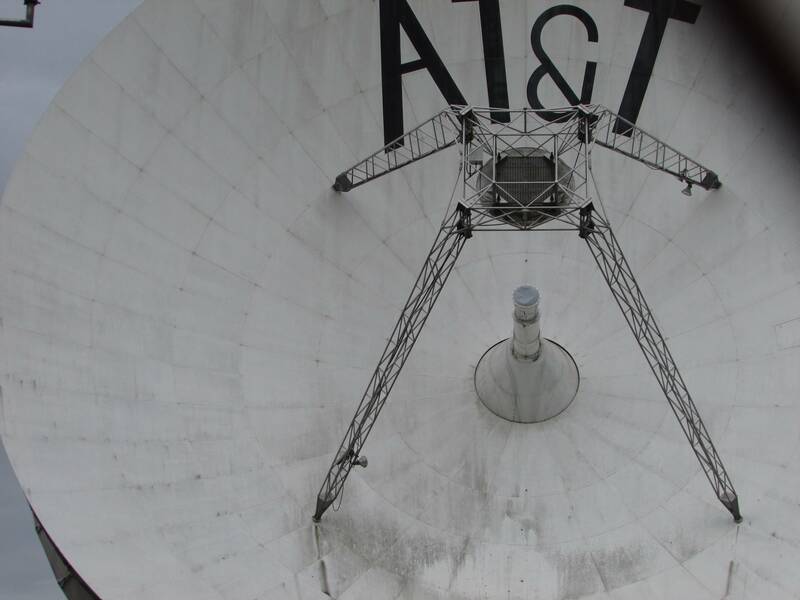 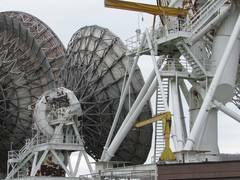 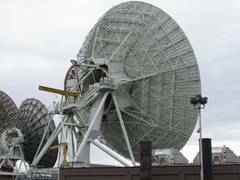 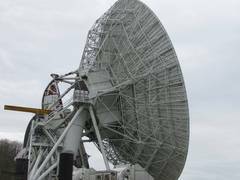 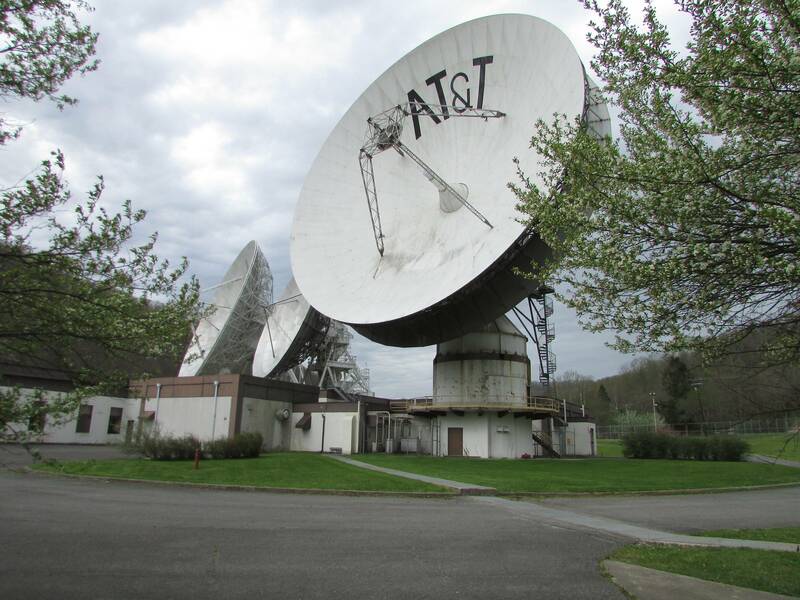 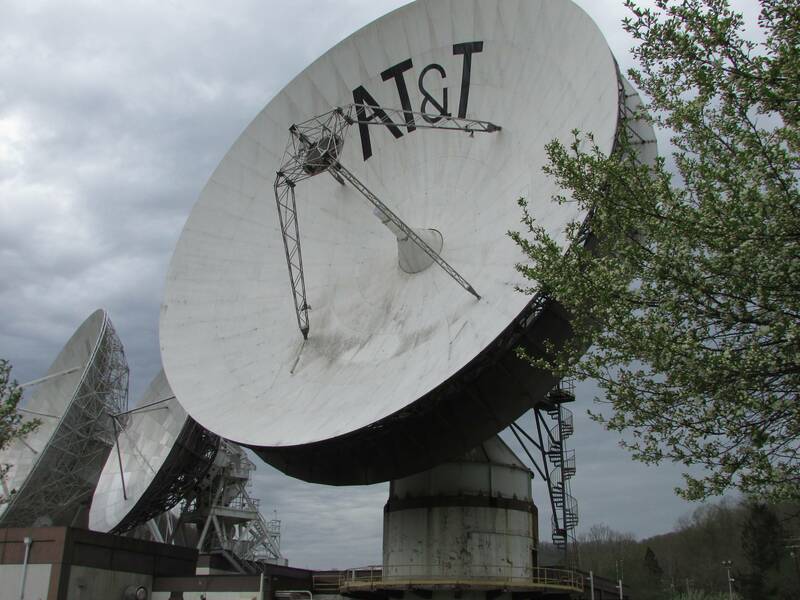 At that time, AT&T was heavily involved in the communication satellite industry, which it created when it launched the original commercial communications satellites Telstar 1 & 2 in the early 1960's. 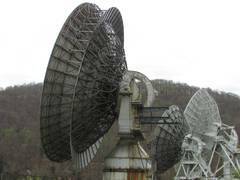 These aren't the type of antennas that were used to communicate with those early satellites, which were in a highly inclined orbit. 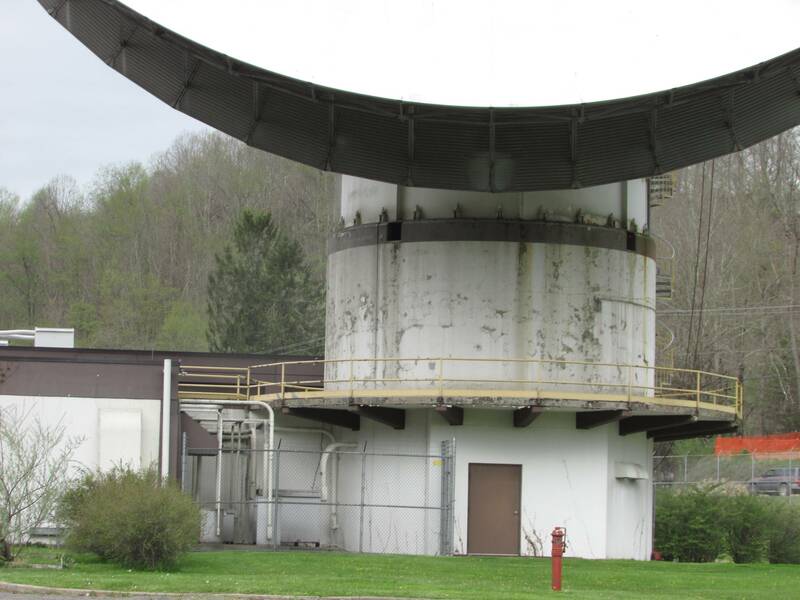 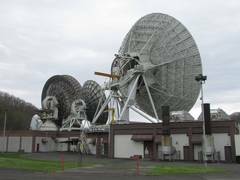 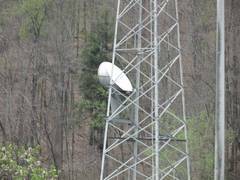 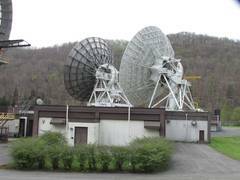 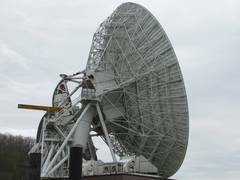 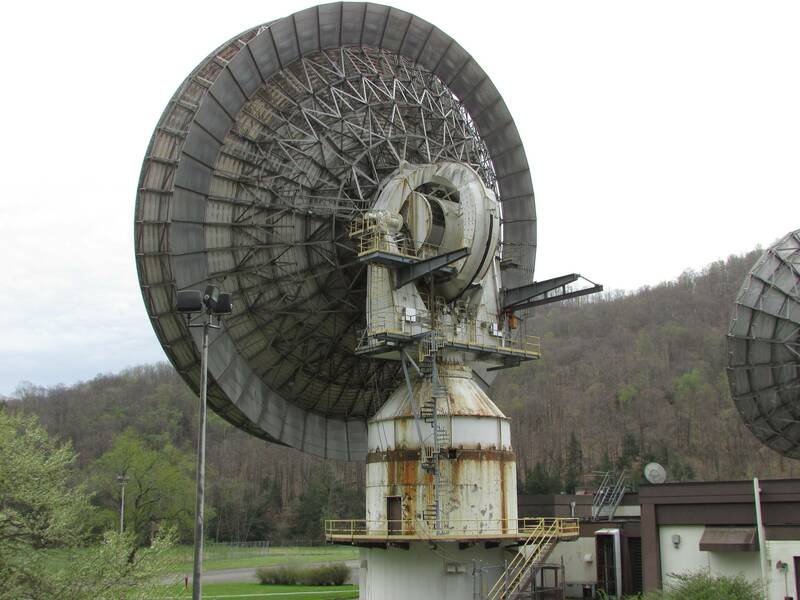 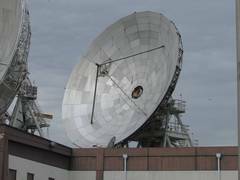 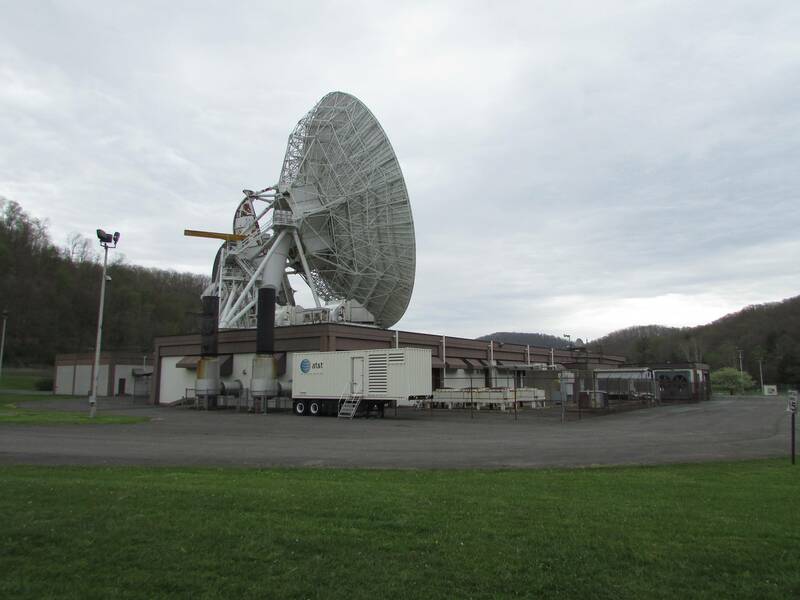 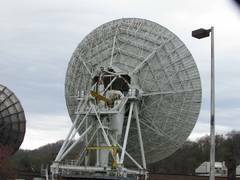 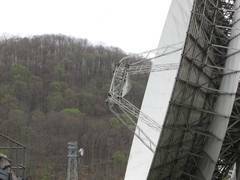 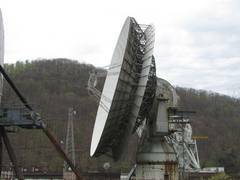 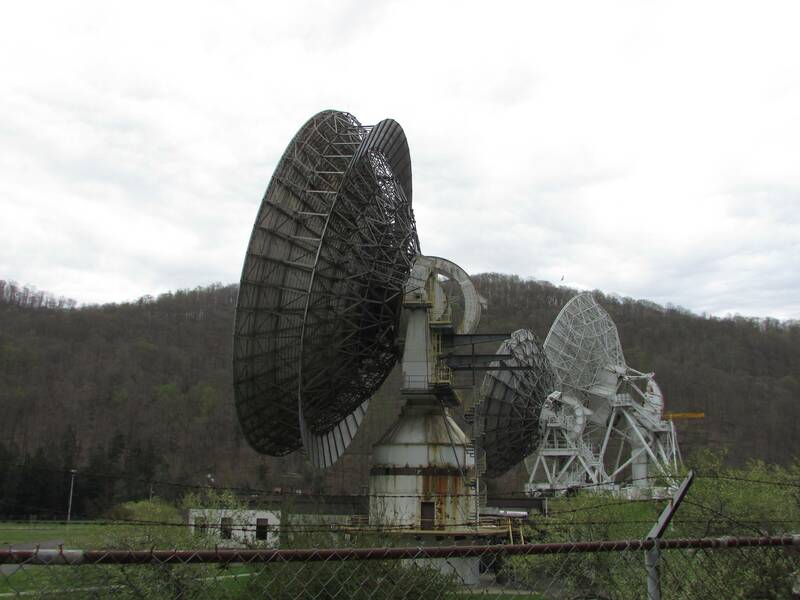 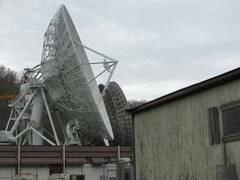 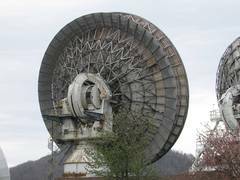 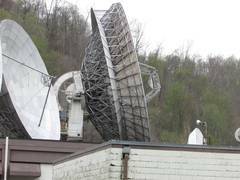 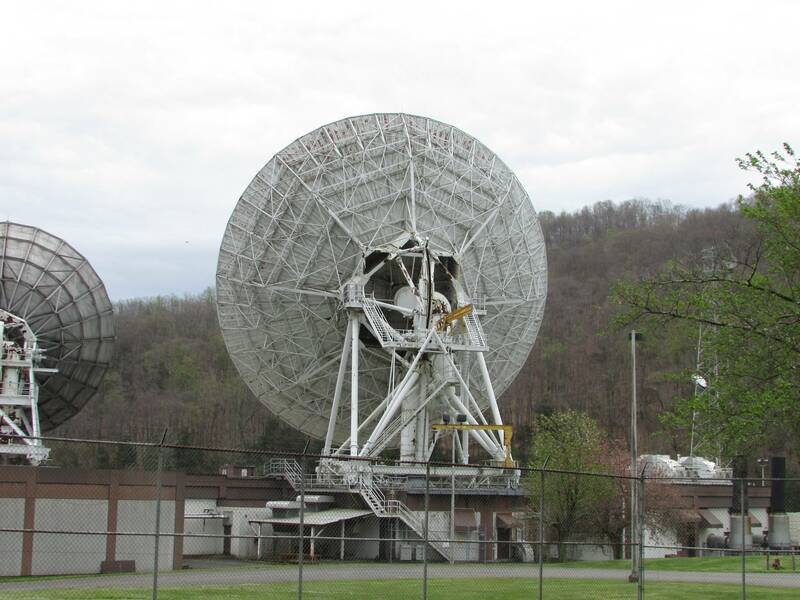 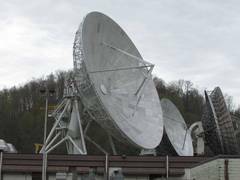 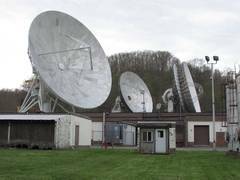 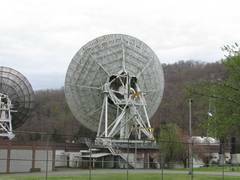 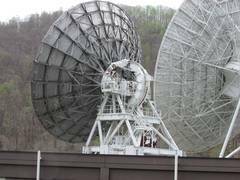 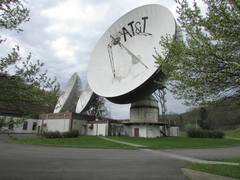 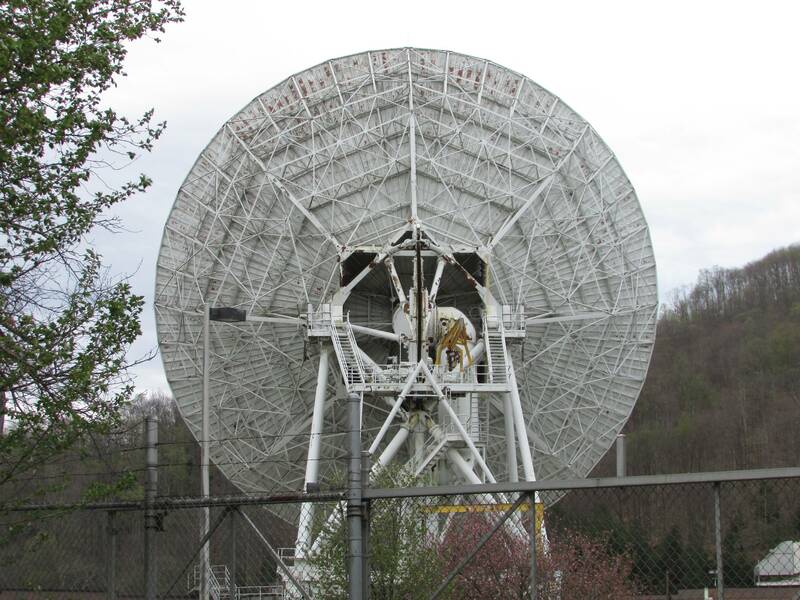 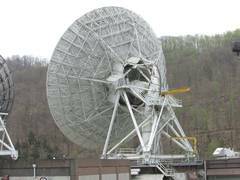 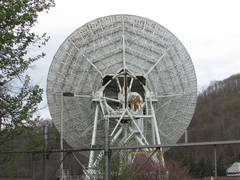 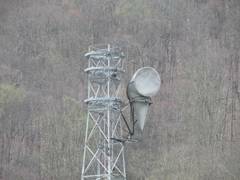 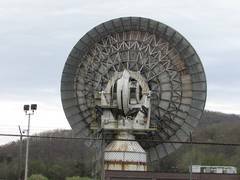 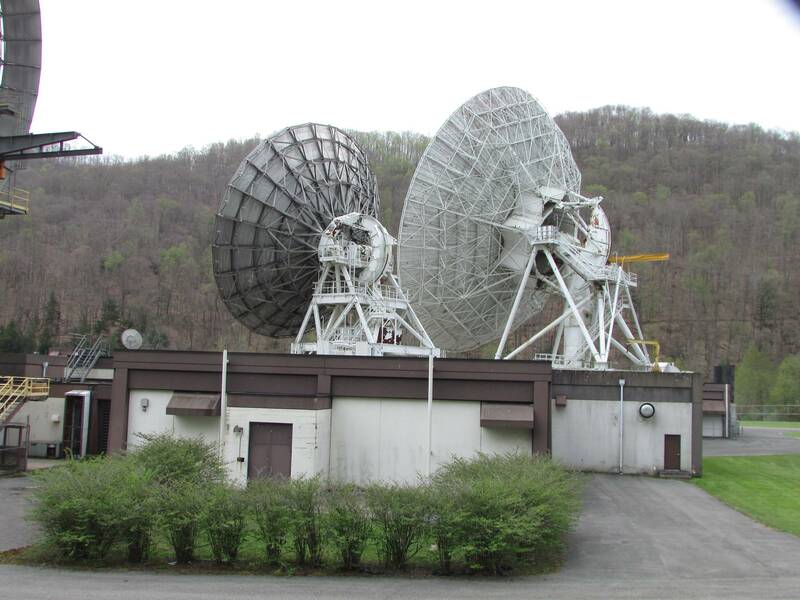 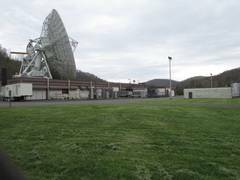 This earth station was probably built to communicate with the geosynchronous Comstar satellites, which were leased to AT&T, and later on, AT&T's own fleet of geosynchronous Telstar satellites. 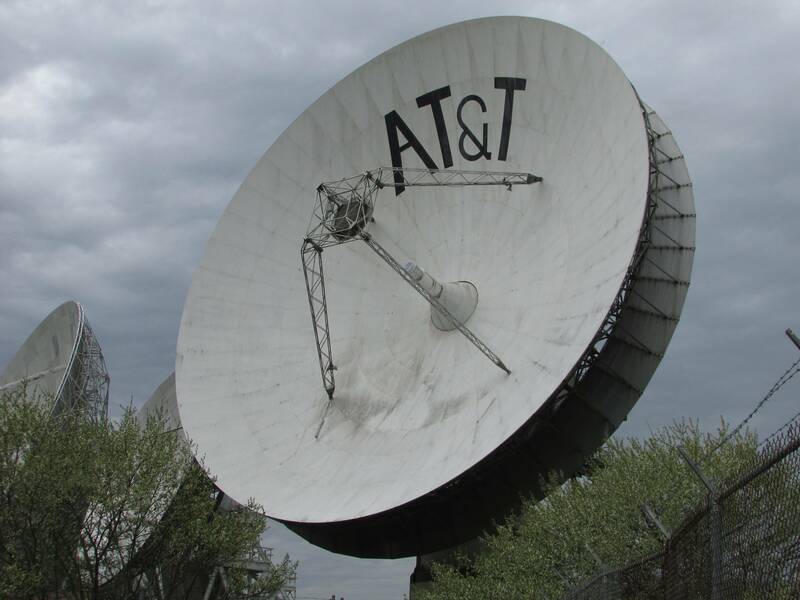 The first geosynchronous satellites designed and built by AT&T were the Telstar 3 series: Telstar 301, 302, and 303, launched in 1983, 1984, and 1985 respectively. 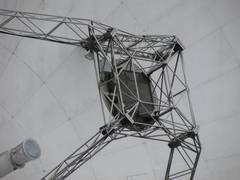 These were somewhat different from the satellites you think of today, which are squarish and have solar panel "wings"; today's satellites are "body stabilized" and use things like reaction wheels and thrusters to keep them pointed at Earth. 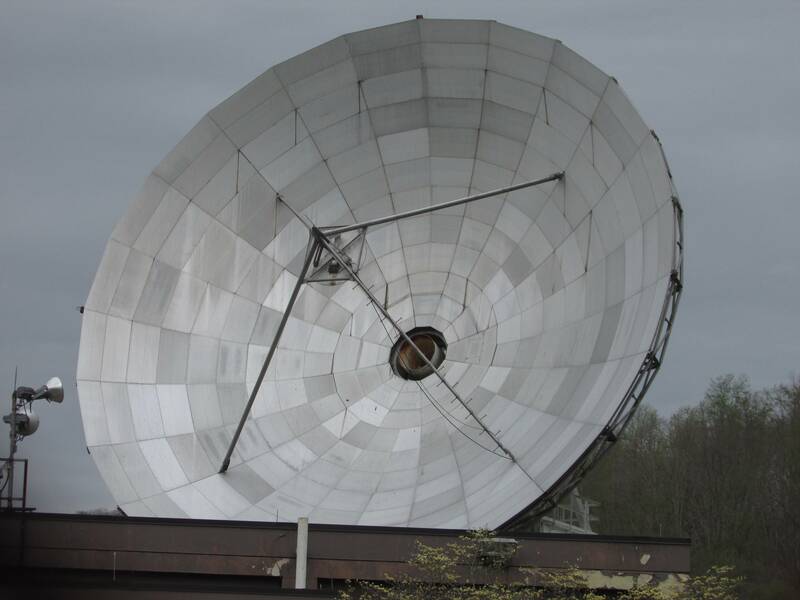 The Comstar and early Telstar satellites were based on a spin-stabilized bus: the entire spacecraft, except for the antennas, was rotated slowly and the gyroscopic force created by the spin kept it aligned in its orbit. 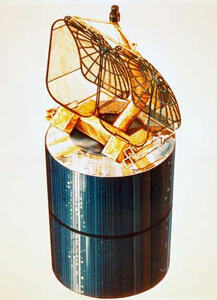 As a result, these satellites were cylindrical and covered in solar cells. 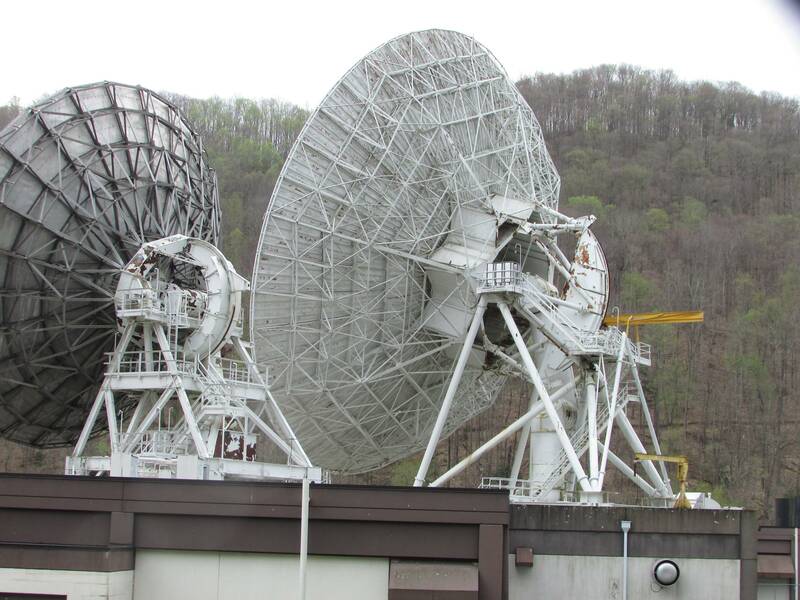 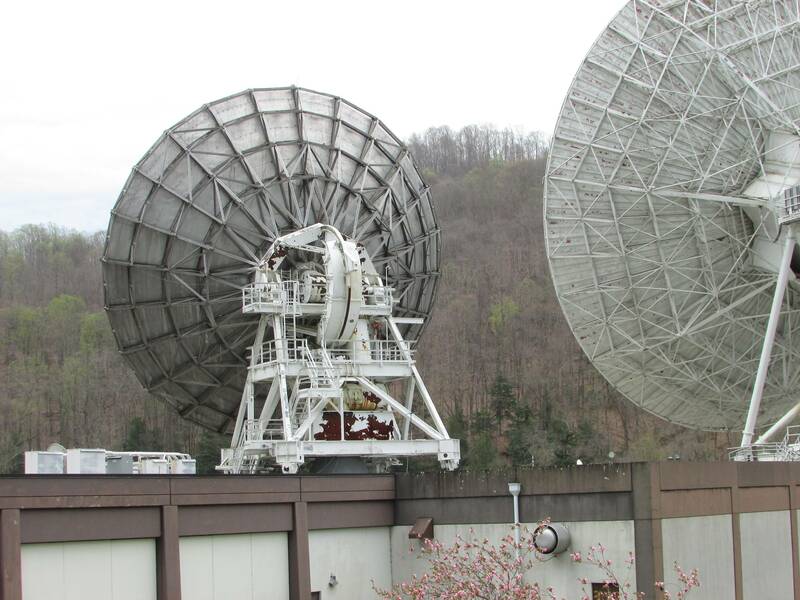 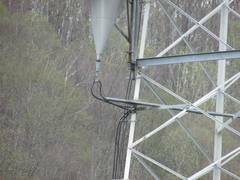 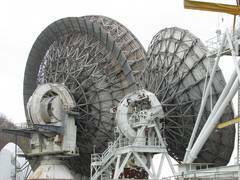 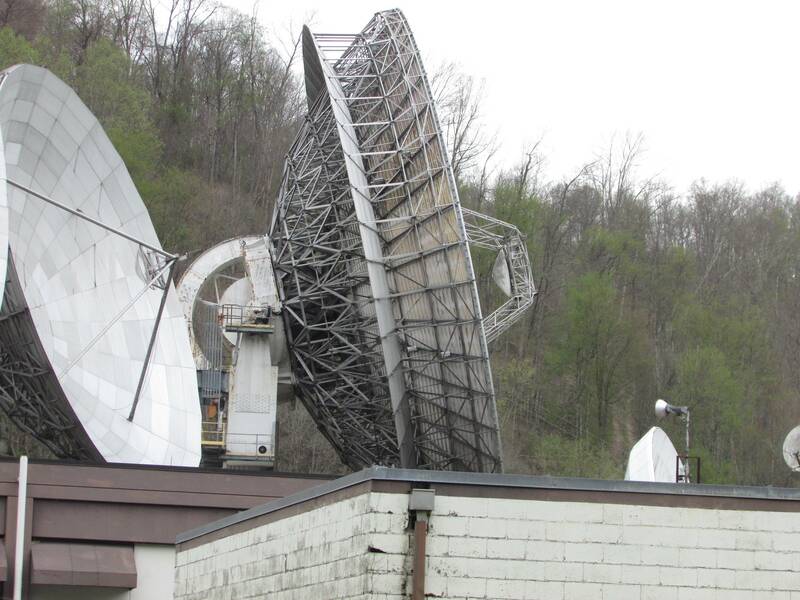 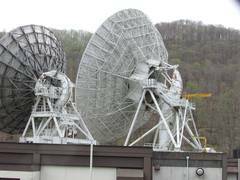 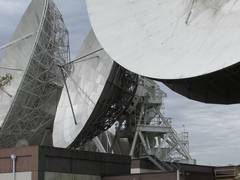 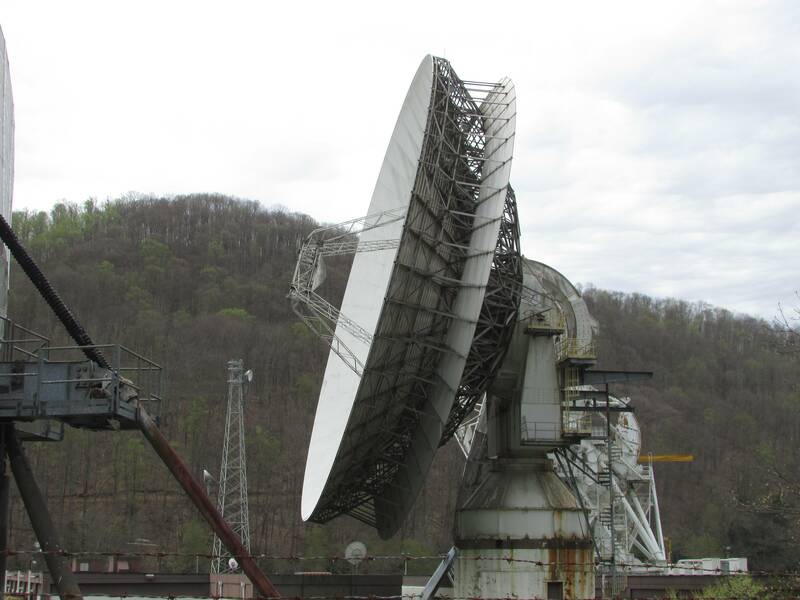 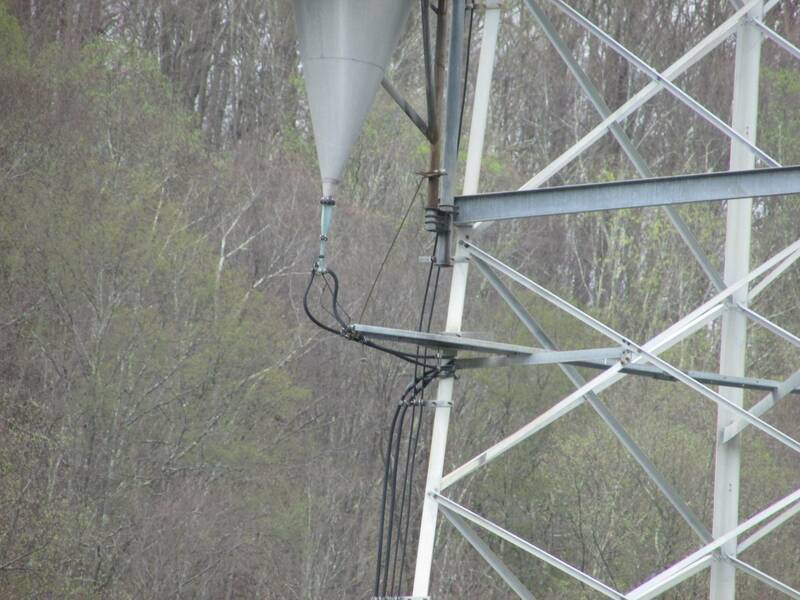 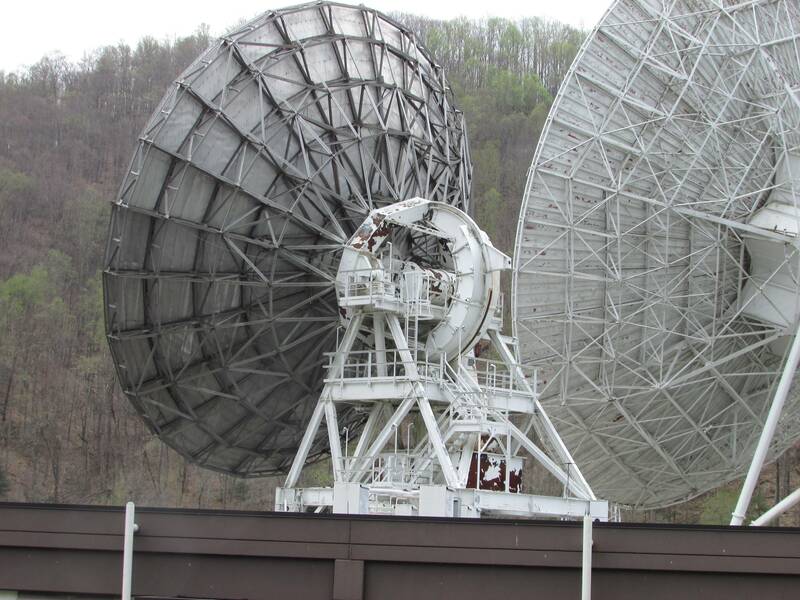 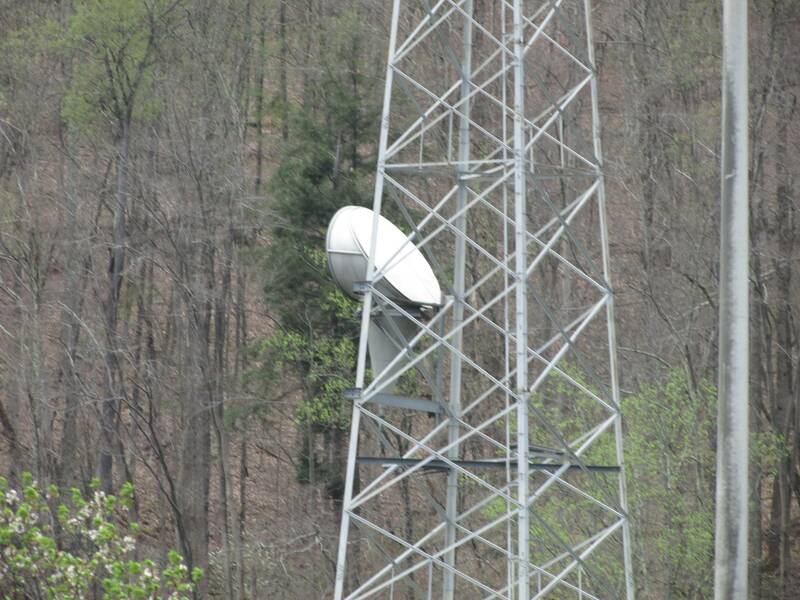 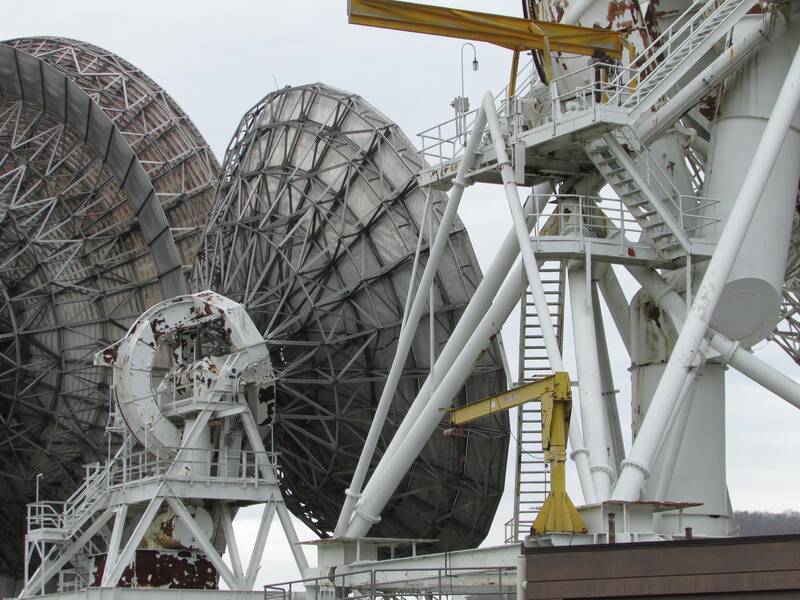 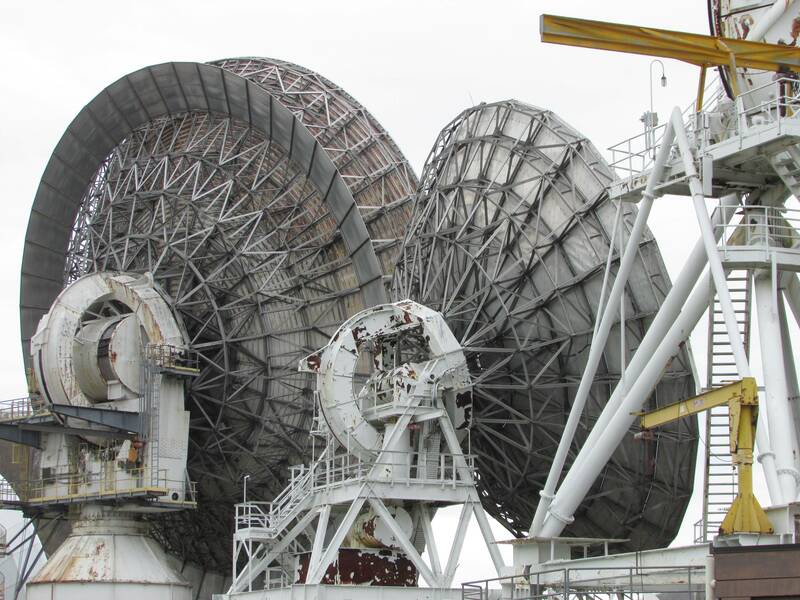 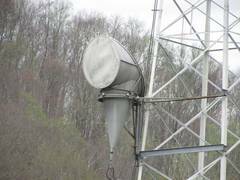 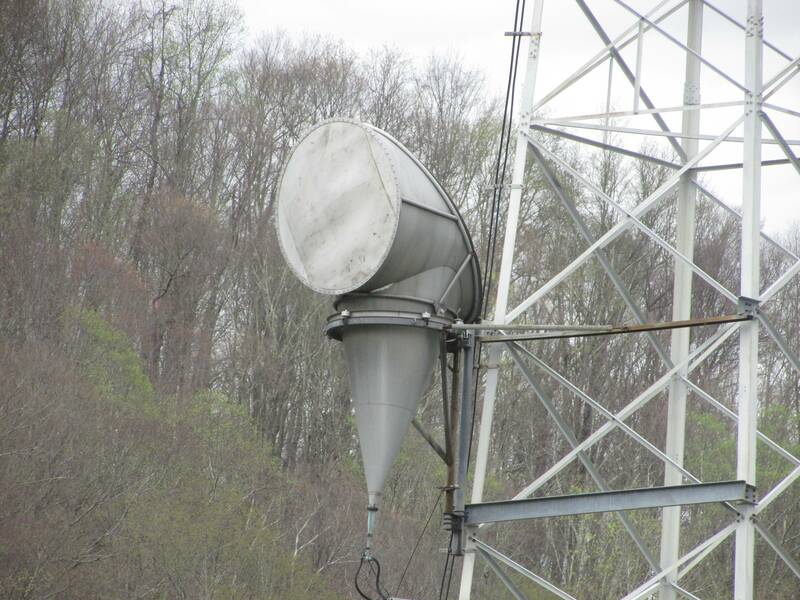 Also note how the antennas on Comstar 1 (pictured at right) resembles the earthbound horn antennas used by AT&T for terrestrial microwave links at the time. The last satellites launched by AT&T under the Telstar name were Telstar 5, launched in 1997, and Telstar 6 and 7, launched in 1999. 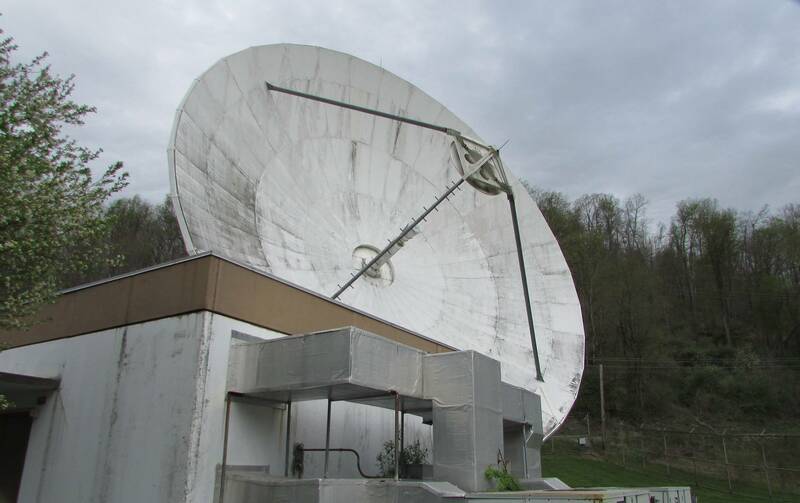 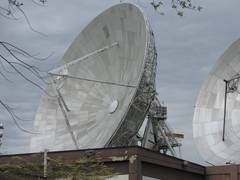 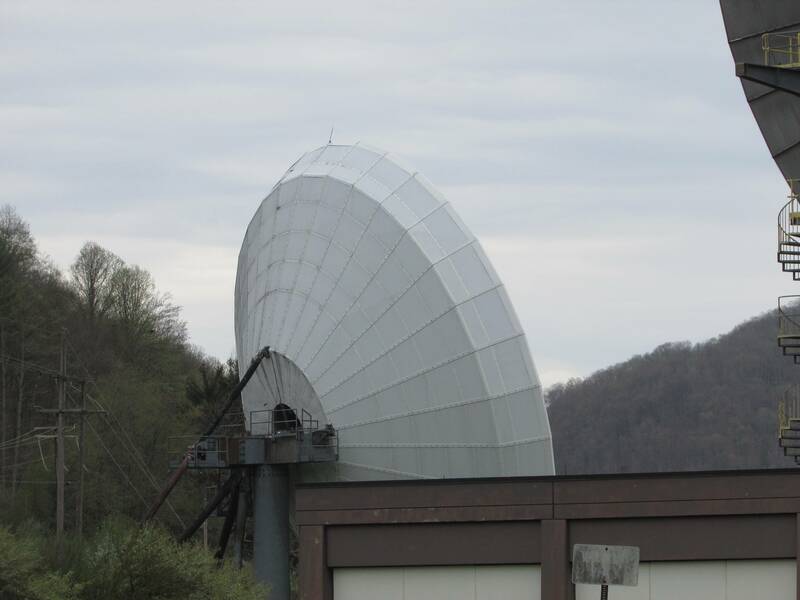 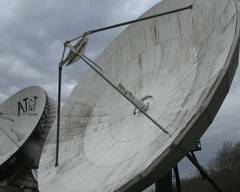 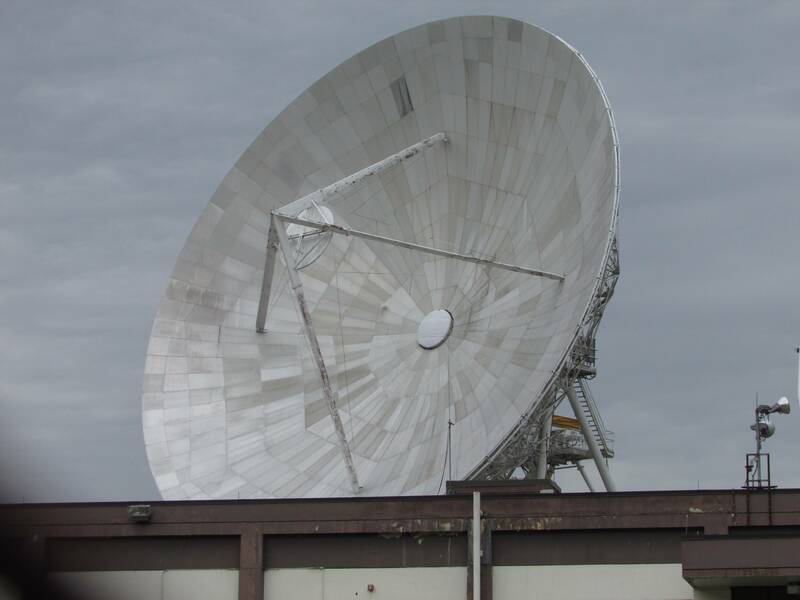 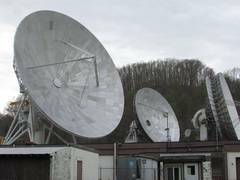 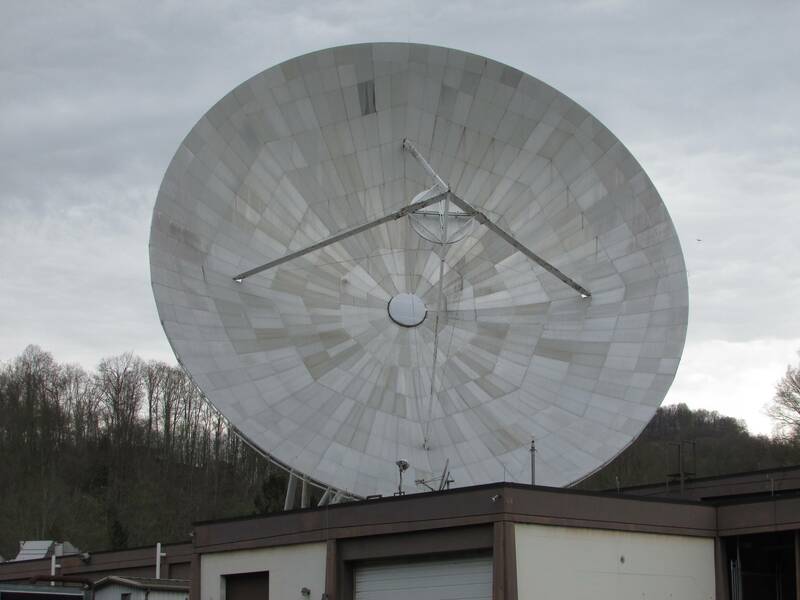 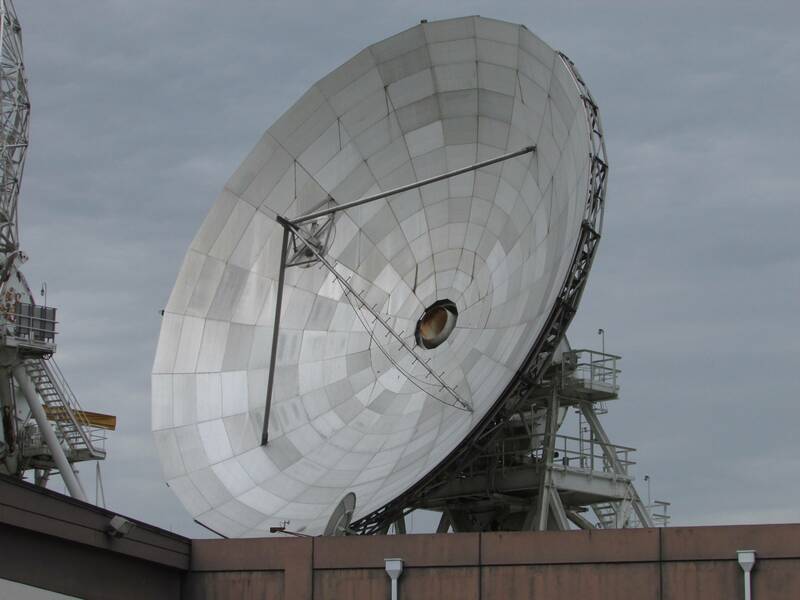 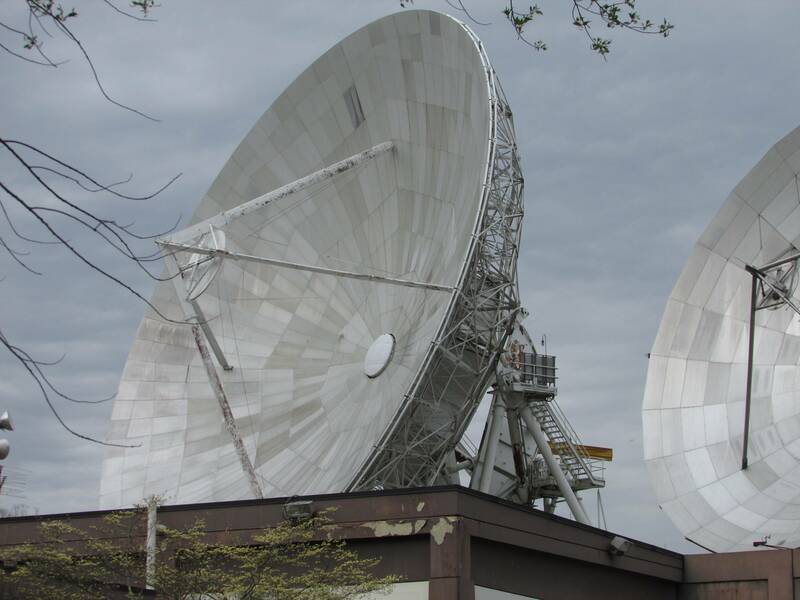 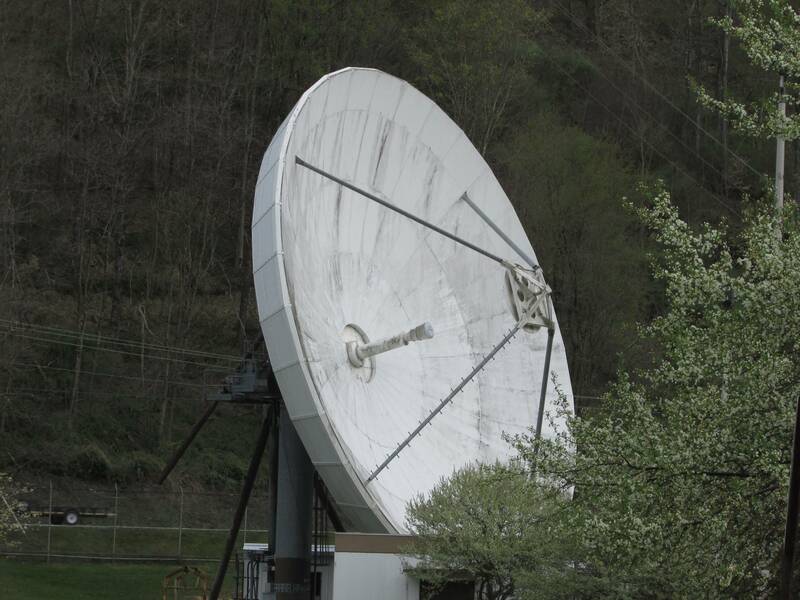 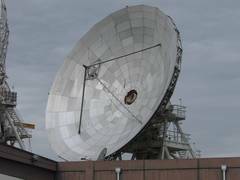 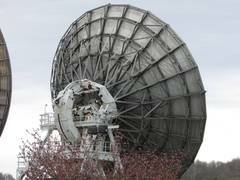 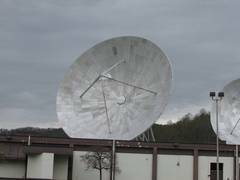 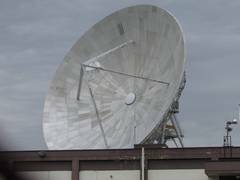 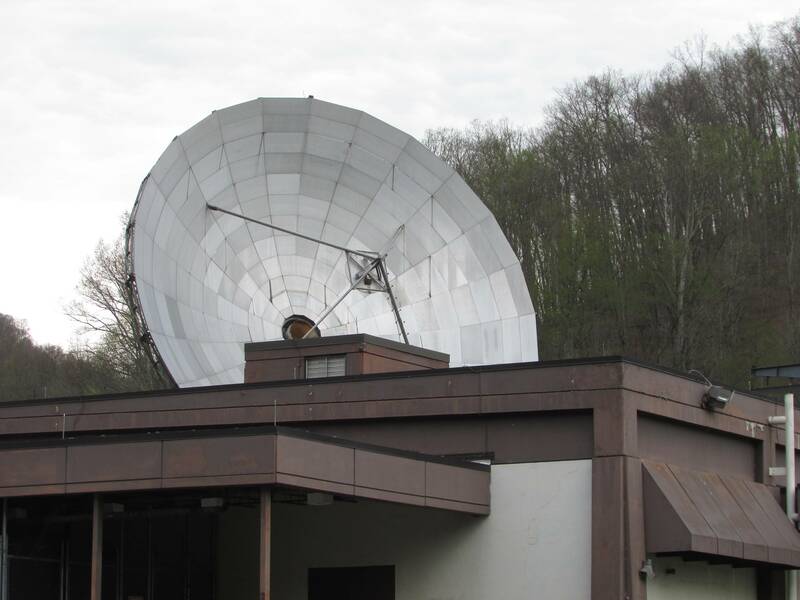 Through a chain of buyouts and mergers they eventually ended up being part of Intelsat's fleet, with Telstar 5, 6, and 7 being renamed Galaxy 25, 26 and 27 in 2007. 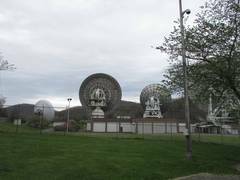 Telstar 6 was retired in 2014 and Telstar 7 was retired in 2016. As of this writing (May 2018) Telstar 5 is still active at the 93.1°W orbital location, having been moved there from its original location at 97°W when it was replaced by Galaxy 19. 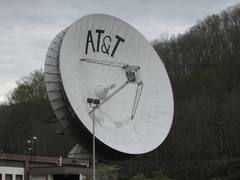 Oddly enough, AT&T would end up with a completely different fleet of satellites when it acquired DirecTV a few years ago. So, is any of this stuff still active or being used for anything? 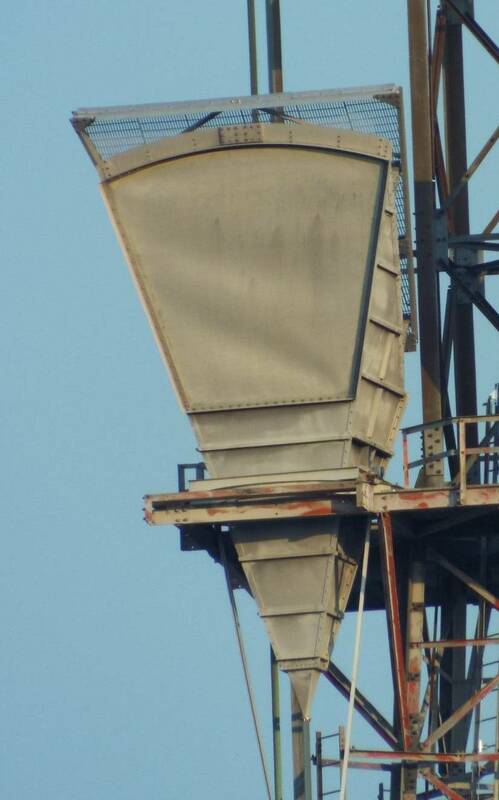 I have no idea, but probably not. Someone is paying for upkeep though, because when I went there in May of 2018 the grass was freshly cut, the site was nicely landscaped, and the HVAC system was running, so there's definitely something going on here. On the other hand, the equipment looks awfully weatherbeaten, one of the dishes is missing part of its feed assembly, and the warm air duct used for de-icing the dish on the far right had come loose and was just laying there. So really, it's hard to say. 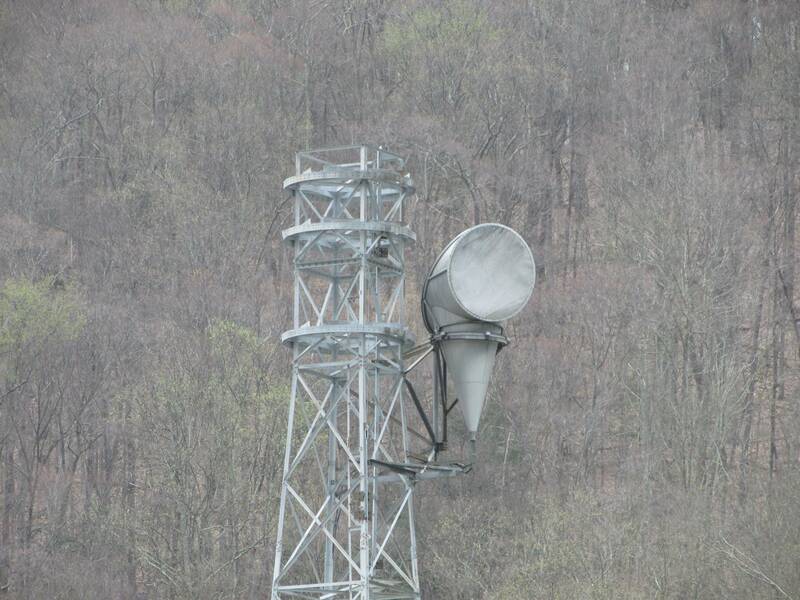 As always, if you have any info, please do feel free to let me know.